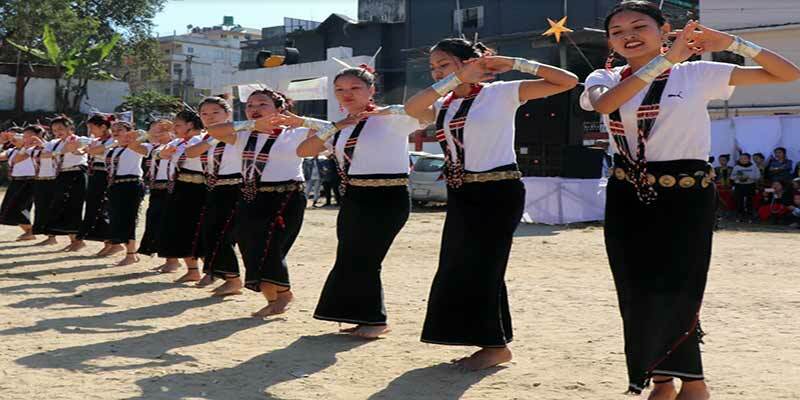 The Podi- Barbi, a harvest festival of the Adi community celebrated with traditional gaiety at Mopin-Solung Ground in Itanagar. The ‘Podi-Barbi’ is a harvest festival celebrated by the Ramo, Pai-Libo and Bokar communities of Mechukha, the sub-tribe of the Adi ,West Siang District of Arunachal Pradesh, It is an Agricultural festival celebrated every year on the month of December in the harvesting season, This festival manifests the magnificent cultural heritage and traditions of the communities. While addressing the gathering at Mopin-Solung ground, the BJP Vice President Tame Phassang appeal the youths and younger generation to carry forward the diversified cultural value and tradition of tribal community of state. He said that time have come and in digital world the younger generation can only save the traditional value and age old cultural heritage of our state. He said that all festival are mostly celebrated and are related and attachment with the bumper harvest of agriculture and gives us a message for a prosperity, unity and integrity, peace and harmony among the community. WRD SE Getom Borang attended as Special Guest and also spoke of traditional value and ethos of the community practice, he too urge upon one and all to work for the tradition up gradation and unity and peace and harmony among the tribes of state. Mechuka MLA P D Sona in his address said that it is platform for our community for unity, integrity and peace and prosperity. We celebrate festival for a good harvest and pray nature to remain to continue to give us blessing which will go a longway in uniting the community for the development of state. The day long function which include several cultural extravaganza, traditional and modern songs and dances were performed in full local traditional attire which mesmerised the audience. PBFCC-2018 President Bojer Yordung, General Secretary Nokpe Taluk also address the gathering. Secretary Onit Paniang, Director Trade & Commerce Tokong Pertin, Director Indigenous Affairs Tai Taggu, Urban development Joint Director Taring Darang and other senior government officer and public leaders and social workers and local public and community members were present on the occasion.